Land protection decisions are long-term, hard to reverse, and resource intensive. Therefore these decisions are important to consider in the context of climate change, because climate change may directly affect the services intended for protection and because parcel selection can exacerbate or ameliorate certain impacts. 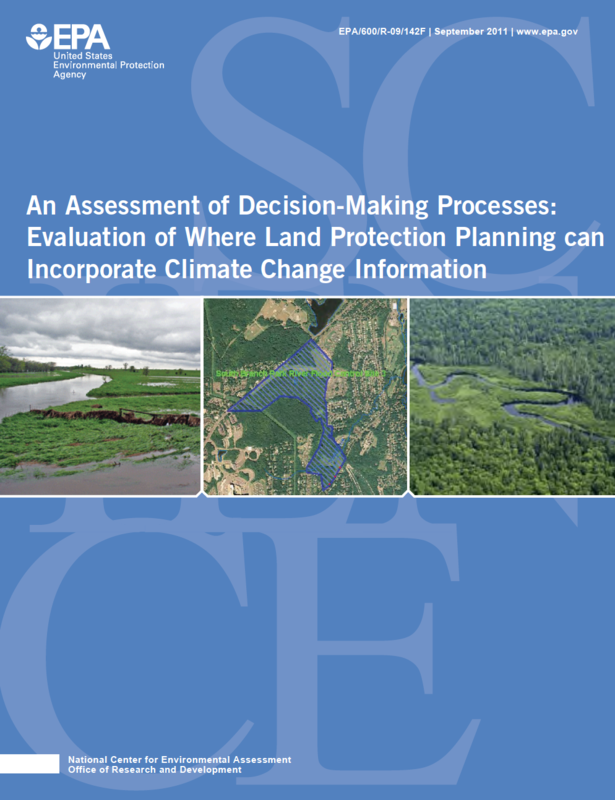 This research examined the decision- making processes of selected programs that protect land to assess the feasibility of incorporating climate-change impacts into the evaluation of land protection programs. The research focused on a sample of the LandVote database, which documents land protection ballot initiatives that sought to protect wildlife and watersheds. Of this sample, the decision-making frameworks of programs were reviewed. Most programs use quantitative evaluation criteria and a bottom-up process for selecting parcels. Almost all programs have one or more advisory committees. The analysis revealed that strategies that might be useful for incorporating climate change into decision making include new decision-support tools for advisory committees, promulgation of different land protection models, and educational outreach for elected officials. As jurisdictions learn more about possible climate change impacts, certain land protection strategies may become more desirable and feasible as part of a portfolio of adaptation strategies that ameliorate impacts on watersheds and wildlife.